Over the past several months, we have been meeting with Ohio policymakers to assist in the development of sound hemp policy in Ohio. This work is starting to bear fruit. We predicted last week that legislation would be introduced soon in the General Assembly, and that has now happened. A new bill to legalize and regulate hemp in Ohio was introduced in the Ohio Senate this morning. We are reviewing and analyzing this formal draft, but even after a brief review it is apparent that the goal is to take a free market approach to hemp in Ohio, legalizing not only hemp cultivation but also the extraction and distribution of CBD and other hemp extracts in the Buckeye State. To read the draft hemp legislation, please click here. We will post another update with a more detailed analysis in the coming days. As we’ve written about in the past, the recent passage of the Farm Bill is a watershed moment for hemp. The Farm Bill removed Hemp from the federal Controlled Substances Act and made the plant and its derivatives legal under federal law. Thus, under federal law, marijuana and hemp are treated separately: marijuana remains illegal while hemp is now legal. Things are less clear under Ohio law, where state agencies have taken the position that hemp still falls under the same definition as marijuana. 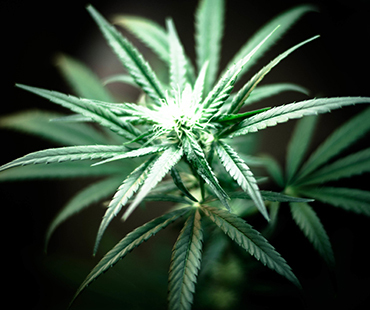 Therefore, they treat hemp the same and regulate it under the provisions of the medical marijuana law. They argue that the use of hemp or its derivatives (think CBD) outside these regulations violates Ohio law, and have begun cracking down on CBD sales in the state. This situation has created significant uncertainty for all. The more we look for ways to address and resolve the uncertainty, the more we see just how confused people are concerning marijuana and hemp, and the confusion often centers on the nomenclature we use to talk about hemp. Both hemp and marijuana belong to the cannabis genus. The Farm Bill, and state laws mirroring the Farm Bill, make a distinction between the two based only on THC content. Hemp is generally defined as a cannabis plant that contains less than 0.3% THC, while marijuana is a cannabis plant that contains higher levels of THC. Importantly, though, both marijuana and hemp can contain CBD. In some states, for example, it can be legal under state law to purchase and sell hemp-derived CBD products but illegal to purchase and sell marijuana-derived CBD products. There is no question that there is a market for CBD and other hemp-derived products, especially given the interest in CBD to manage pain, anxiety, insomnia, and even childhood epilepsy syndromes. But there remains a need for additional research to gauge the efficacy of CBD to treat these and other ailments. Given the market for CBD and other hemp products in Ohio, it’s clear that Ohio law needs to change to accommodate this evolving industry – and the Ohio legislature is positioning itself to do just that. We told Crain’s Cleveland Business last year that we were working on hemp legislation and that we expected action in Ohio in 2019, and it’s looking like that next step is going to come very soon through the introduction of hemp legislation in the General Assembly. If legislation is passed in 2019 – as we expect it will – then Ohio farmers should be able to begin cultivating hemp outdoors in the 2020 growing season. This will permit them to compete with farmers in other states, including those who will be growing thousands of acres’ worth of hemp in Kentucky this year. We’ll continue to follow this issue closely and will provide regular updates on our efforts to develop and craft good hemp policy in Ohio. Stay tuned. The confusion surrounding the treatment of CBD products in Ohio is causing disruption to businesses. For months, the Board took the position that its clarification was “informational” in nature. However, it stated that it would reassess if it continued “to be illegally sold.” Now, it appears that some jurisdictions in Ohio have already decided to take a more aggressive approach to CBD enforcement. For example, a Mansfield man is facing felony drug charges for reportedly possessing a bottle of CBD oil. His attorney has filed a motion to dismiss the case, and a hearing is scheduled for February 13. In addition, the Cincinnati Enquirer is reporting that the Ohio Department of Agriculture is working with law enforcement agencies throughout the state to “embargo” CBD products at local retailers. Ohio has not yet changed its own laws to legalize hemp at the state level – though Ohio law will likely change later this year. Until that happens, businesses should proceed carefully and make sure they understand the evolving legal landscape. If you have questions about hemp or CBD products, please do not hesitate to contact one of Frantz Ward’s Cannabis Attorneys. The Ohio medical marijuana industry is ready to go live, with most of the pieces in place to complete the regulatory structure passed by the Ohio General Assembly in September of 2016. However, like the medical marijuana industry in general, the Ohio market will have a difficult time accessing banking services. This is because while marijuana may be legal under state law, it is still illegal under federal law, and thus banks are reluctant to offer banking services to the industry for fear of violating federal banking laws and rules to which the banks are subject. However, there are signs in Ohio that banks may be beginning to give the medical marijuana industry a fresh look. Recently, Wright-Patt Credit Union in Dayton, through its board of directors, gave approval for the credit union to begin offering limited services to the medical marijuana industry. At this point, the nature of the services and what they might include have not been specified. Additionally, the Ohio Department of Commerce, through its Division of Financial Institutions, recently issued guidance for banks contemplating getting into the industry. The decision by Wright-Patt, while isolated in Ohio, reflects a national trend in the industry. By the end of March 2018, 411 banks and credit unions in the U.S. were “actively” operating accounts for marijuana businesses, according to a report prepared by the Treasury Department’s Financial Crimes Enforcement Network (FinCEN). That’s up more than 20% from when President Trump took office. The business reasons for the timing of the announcement are not entirely clear. Banks and credit unions in other states, mostly state chartered, have quietly served the industry to varying degrees for years. Some banks do increased due diligence on their marijuana clients to ensure compliance with a FinCEN memo of February 2014, while other banks may turn a blind eye. What is becoming clear is that as more states pass laws legalizing marijuana and the federal climate for rescheduling marijuana under the Controlled Substances Act and re-examining cannabis related issues continues to improve, many financial institutions want to be ready to jump into a large and growing marketplace that is woefully underserved. There are probably 25,000 acres across the U.S. dedicated to hemp farming today, said Pat Haggerty and Tom Haren, who are both with Frantz Ward‘s cannabis law and policy group. The 2018 Farm Bill means hemp will “explode into huge amounts of interest,” Haggerty said. “Those 25,000 acres will go into hundreds of thousands, if not millions,” he said. But like Kepford, Haggerty points out that excitement about cashing in on hemp — which has a laundry list of uses ranging from CBD extracts to cosmetics, construction materials, paper and clothing — is balanced against a cloud of uncertainty. Haggerty and Haren are working with state lawmakers to draft statutes for a state-regulated hemp industry. 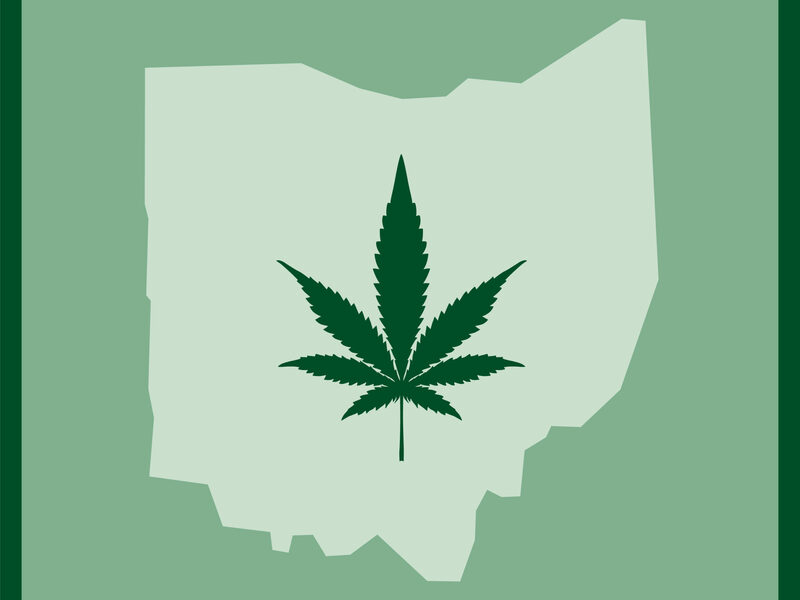 That’s something even more legally complicated in the Buckeye State, where medical marijuana is tightly controlled via a rigorous licensing process for growers, processors, testers and retailers. The state has been applying federal rules to hemp, classifying it as marijuana. That makes hemp effectively illegal to grow and sell under current state laws, which don’t automatically change along with federal legalization. Even hemp-derived CBD is only allowed to be sold legally in Ohio through licensed dispensaries that are opening in the coming weeks (the state hasn’t really devoted resources to enforcing that, creating additional confusion in the public about which retailers are allowed to sell CBD products). “It’s not clear yet how that conflict between a federal hemp program, where the Department of Agriculture can step in and license folks themselves, works in a state with no hemp program,” Haren noted. “All this cries out for Ohio to have its own legislation,” Haggerty added. Many hope those laws could be in place in time for a spring planting season. “We want consistency between state and federal laws because confusion is bad for business,” Haren said. Frantz Ward attorneys Tom Haren and Pat Haggerty attended the Marijuana Business Conference this past November. Tom was a presenter at the Marijuana Business Crash Course, and Pat attended the Hemp Forum. The biggest takeaway from the conference is that 2019 could be a banner year for cannabis in Ohio and nationwide. Hemp reform is moving forward. It has now been confirmed that the 2018 Farm Bill will include the federal Hemp Farming Act, which would remove industrial hemp (cannabis containing less than 0.3 percent THC) from the Controlled Substances Act. Hemp-derived CBD has been all the rage as of late, with this segment of the industry on track to hit $591 million in 2018. Some analysts predict this could be a drop in the bucket: The Brightfield Group predicts that the CBD industry alone could hit $22 billion by that time. Legalization of hemp at the federal level is the first step toward a nationwide market for hemp and its derivatives — after passage of the 2018 Farm Bill, it will be incumbent upon the states to develop their own hemp programs. Broader cannabis reform is possible in 2019. With the coming change in control of the House of Representatives, many are confident that 2019 will bring significant cannabis reforms. For one thing, the expected Democratic Chair of the House Rules Committee will no longer block cannabis-related amendments from being debated on the House floor. While that is newsworthy in and of itself, there is also confidence that Congress may finally pass the STATES Act during this session. The STATES Act would exempt state-compliant cannabis operators from the purview of the federal Controlled Substances Act. In addition to removing the fear of federal prosecution, this change would allow banks to service state-compliant cannabis businesses, and also permit state-compliant cannabis companies to take standard tax deductions on their federal tax returns. President Trump has indicated that he supports this change, which has bipartisan support in both chambers of Congress. If you have questions about the 2018 Farm Bill, the Hemp Farming Act, or the STATES Act, please do not hesitate to contact one of Frantz Ward’s Cannabis Attorneys. Frantz Ward’s client, Greenleaf Gardens, LLC was granted summary judgment in an Order from the Common Pleas Court in Franklin County, finding that the method used to issue Level I medical marijuana cultivator licenses is unconstitutional on its face. The Department of Commerce initially issued twelve Level I cultivator licenses. Greenleaf Gardens was the twelfth highest-scoring applicant, but did not receive a license because the Department was required, by statute, to issue not less than fifteen percent of licenses to entities owned and controlled by members of economically disadvantaged groups. The Court found this set-aside to be unconstitutional. “We are obviously pleased with the Court’s ruling in this case, and we value the relationships that our team has built with the Ohio Department of Commerce and Board of Pharmacy. While we look forward to ultimately receiving a license to cultivate medical marijuana, we are actively engaged in bringing our five dispensary licenses and processing license to operational status. For questions, please call Frantz Ward attorney Tom Haren at (216) 515-1664. To view a copy of the ruling please click here. Last week, a closely-watched trial involving a Colorado cannabis sued by a neighbor ended with a jury finding in the cultivator’s favor. In Reilly v. 6480 Pickney, LLC, the Reillys complained that their property’s value had decreased due to odor emitted from the cultivator’s property (an unfortunate, if not new, problem in legal cannabis markets) and increased crime in the area. Rather than file a state based standard nuisance claim, however, the Reillys filed claims under the federal Racketeer Influenced and Corrupt Organizations Act (“RICO”). RICO was originally enacted in the 1970s to give law enforcement another tool to fight organized crime. Civil RICO lawsuits provide remedies where plaintiffs allege they have been harmed by “racketeering activity,” which, arguably, includes cultivating marijuana (because it remains illegal to do so under federal law). Last year, a ruling from the Tenth Circuit Court of Appeals allowed the Reillys to take their civil RICO case to trial, though the court noted that they still had to prove that the cultivator’s activity caused their property value to be diminished. In a landmark victory for the cannabis cultivator, though, the jury found that the Reillys did not make those required nuisance related showings. The jury’s verdict comes after a federal district court in Oregon refused to allow a civil RICO claim to proceed. RICO suits are attractive to plaintiffs because, if they succeed, the plaintiffs can obtain treble damages and attorney fees. Perhaps that is why there appears to be a dedicated effort to use RICO in cannabis-related litigation. Given the increased risks associated RICO litigation, coupled with the fact that more of these cases are likely to be filed in the future, cannabis companies should be prepared to vigorously defend against these claims. On January 4, 2018 the Department of Justice rescinded Obama-era guidance to United States Attorneys, including the 2013 memorandum issued by then-Deputy Attorney General James Cole, calling previous guidance “unnecessary” in light of general principles governing federal prosecutorial discretion. Up until this point, the 2013 Cole Memo was widely viewed as the biggest reason state-legal marijuana programs to flourished over the past 5 years, as it directed United States Attorneys to consider distinct federal enforcement priorities when deciding whether to utilize finite government resources to prosecute state-legal marijuana businesses or whether to rely on state and local law enforcement to address those concerns. Click here to read the full client alert.